NXP has made some great tools, but if you want to get the BLE Stack going, it requires a few closed-source libraries. Let's open it up with GNU Tools and Eclipse. 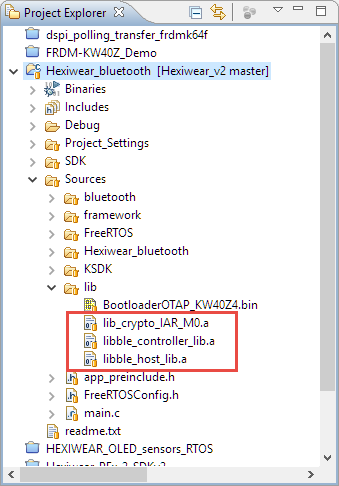 One of the biggest roadblocks (aside from closed source) in using the BLE (Bluetooth Low Energy) stack from NXP is that it requires expensive tools to compile and build the stack. 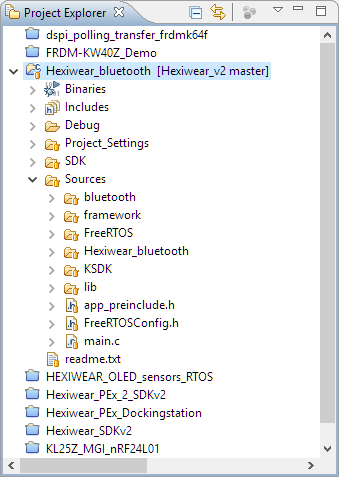 The good news is that I now have the NXP BLE stack for the Mikroelektronika Hexiwear ported to Eclipse and GNU gcc build tools for ARM. 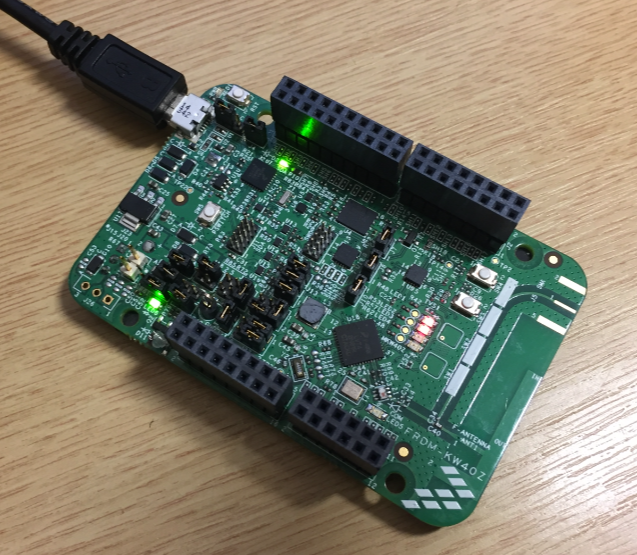 The BLE stack, sources, and examples provided by NXP need the IAR Embedded Workbench to compile and build it. That stack is running on the NXP Kinetis KW40 SoC, which is responsible for the touch sensing and the BLE communication on the Hexiwear (see Hexiwear: Teardown of the Hackable ‘Do-Anything’ Device). On the other hand, it is strange that NXP does not provide the BLE stack in the first place using their own tools: The NXP Kinetis Design Studio is based on open-source Eclipse and includes free-of-charge and unlimited GNU (gcc, gdb) tools. Why not using this instead? 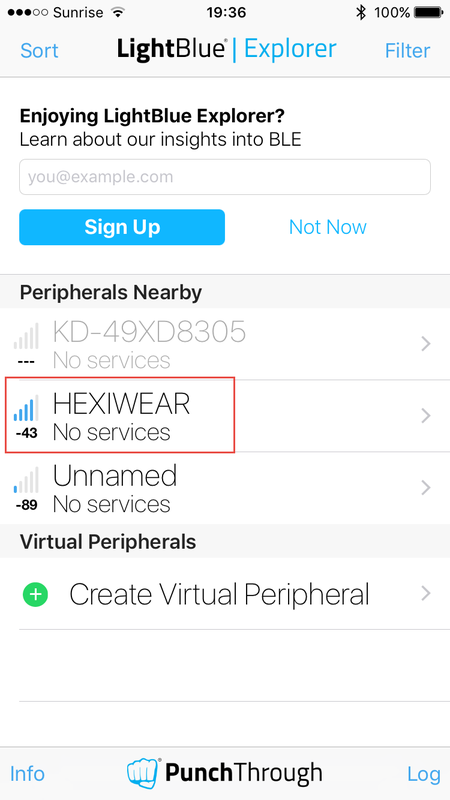 The Hexiwear is using the NXP KW40 device. 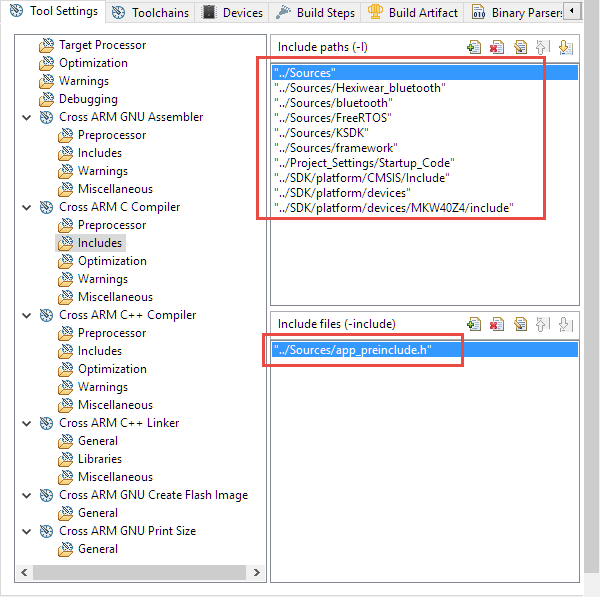 For the newer NXP KW41, there is an updated Connectivity Software V1.0.2, which now includes projects for Eclipse based Kinetis Design Studio. In the next sections, I'll describe the most important porting steps. The current project and sources are available on GitHub. Create a new (basically empty) project in Eclipse and verify that you can debug it. Copy the sources into the project. Specify preprocessor defines and macros, including any ‘include always’ files. 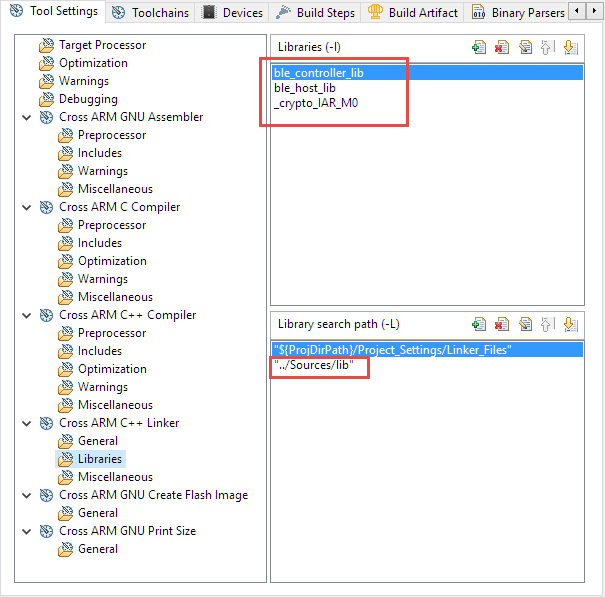 Have a look at the original project and compiler settings. Build the project and fix any incompatibilities (e.g. rename ‘asm()’ to the standard ‘__asm’ syntax. Extend the linker file as needed, have a look at the original linker file. The ‘app_preinclude.h’ is a header file that has global settings and is included for each compilation unit. The IAR project used a canned (library) version of the SDK. For better portability and to be able to debug the SDK sources, I have added the SDK sources (and not the library for it) to the project. I can now use free-of-charge and unlimited Eclipse and GNU tools to build the NXP BLE stack. Things have not been tested in all details, but I get advertisement packets and I can step through the code. Things are not optimized yet. Because the BLE stack is using the Kinetis SDK V1.3, it adds many unnecessary layers and is using the (not needed) OS adaption (OSA) layer to FreeRTOS. If I can find the time, I will update the currently used V8.2.0 FreeRTOS in the stack to the more recent V9.0.0 FreeRTOS. Other vendors make it easier and provide their stacks for GNU and Eclipse out of the box. I hope that, eventually, NXP will provide source code for more if not all parts of the BLE stack — because using archive libraries like this is not very development-friendly and can lead to all kinds of compatibility issues. For now, things seem to be working which is a good first step.